New York Stock Exchange #NYSE adds Bitcoin ticker! This is big news! The NYSE is now tracking Bitcoin as an index! One more good reason to stop by our ATM, and buy some Bitcoins today! “The New York Stock Exchange (NYSE) has today announced the launch of a bitcoin price index (NYXBT). For a limited period it will also be viewable on the NYSE’s website. Payment processor #Stripe adds #Bitcoin support! Cruise on over to Stripe’s page on Bitcoin for more information and signup! Great quote, and it puts the potential of bitcoin into simpler terms…Electronic money for an internet age. Email used to be the “new” thing.. back up not very far, and your grandparents had no idea what email was.. Today the internet is used by millions of all ages. Bitcoin allows you to send money instantly, electronically, across all corners of the planet. I was reading a great article last night on Business Insider, by Wences Casares, in which he postulates that Bitcoin may end up being a bigger deal than the Internet was! Coinbase has long been a way for U.S. users to buy/sell bitcoin, but they weren’t a “stand-alone” exchange, rather being tied to Bitstamp. Buys/Sells could, in some cases, take a week to 10 days to complete.. (Find a local Bitcoin ATM, much faster!) Now that more than 82,000 businesses accept bitcoin, double last year, larger companies, including Wall Street seem to see the value in bitcoin. Earlier this month, Coinbase closed a $75 Million dollar financing round, for a grand total of $105 million, the largest ever for any virtual-currency startup. The New York Stock exchange, USAA and others were participants in the funding rounds. #Microsoft accepting #Bitcoin for #apps #games #windows? Off we go, into the Bitcoin frontier! Outstanding article on the history of money, and how Bitcoin is the obvious organic evolution of payment systems.. Well worth your time to read. A long time ago on the island of Yap in Micronesia people used stones as money. Back then some African communities used sea shells as money, people in Asia used salt as money, and people in North America used beads as money, but on the island of Yap, you used stones as a way of saving, making payments and keeping track of prices. A lot of small stones would get you a really big stone; some were the size of an elephant and weighed more than 8,000 pounds. Obviously, you didn’t take the big stones home – you left them where they lay – but everyone knew the big stone was yours. The people of Yap knew that stones did not need to be valuable to be useful. The stones became valuable precisely because they served as an effective way to save, pay, and price things. After being bombarded by email requests for months, Freakonomics Radio has finally caved and made an episode about Bitcoin. It’s called “Why Everybody Who Doesn’t Hate Bitcoin Loves It.” The gist: thinking of Bitcoin as just a digital currency is like thinking about the Internet as just e-mail. Its potential is much more exciting than that. 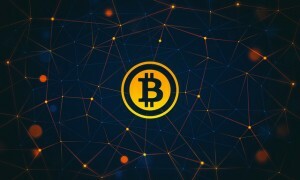 Global payments conglomerate NCR has announced that one of its merchant point-of-sale (POS) systems will soon offer bitcoin support. The integration of bitcoin into the NCR Silver POS is expected to happen sometime before the end of this year. The system will also support mobile bitcoin wallet payments and will be a free service attached to its POS platform. Delightful 5 minute video on how Bitcoin allows money to reach the people who need it, as direct as possible..